“Europe’s dependence on fossil fuels is very considerable, which underscores the importance of analyzing, from all perspectives, energy loss throughout the entire distribution chain in order to determine its influence in the reduction of CO2 emissions. To this end, we present a summary of the study that analyzes the influence current regulations have in this regard and the various options for improving transformers. The complete study is available at the following website: ………………. .
Transformers are a fundamental element in the distribution of electricity since all the electric power needs to pass through them. Thus, there are two challenges to be faced: the industry must develop more efficient transformers while the regulatory authorities prepare more demanding standards pertaining to loss reduction. 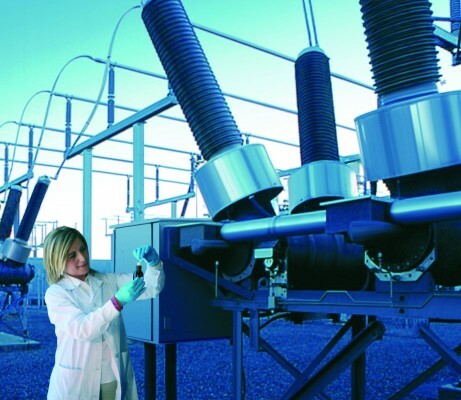 Power transformers are efficient pieces of equipment that normally operate at an efficiency rating superior to 95%; however, it should be noted that a 0.5% improvement for high voltage power transformers leads to a significant reduction in the generation of heat and, in consequence, energy loss. In Europe, the energy lost from low and medium voltage transformers represents 2% of total energy generated and 7% of the energy lost during its distribution. The variable that most influences the reduction of CO2 emissions is the choice of core. Most of the cores used in the manufacture of transformers in service today still possess the same basic characteristics of those developed approximately 90 years ago, which signifies that they are conventional grain-oriented (CGO) silicon carbide cores. This type of core can be divided into two classes: standard and HiB (with thinner sheets). The current tendency is to obtain materials that improve the core’s effectiveness; two we would like to draw attention to are materials with an amorphous structure and superconductors. At the same time, machines are being worked on that support overloads without breaking down in order to optimize power in function of the demand curve; this requires that suitable uses be found. Transformers with amorphous cores perform considerably better (lower iron loss), but they also have their drawbacks; for instance, they practically need to be “crafted” by hand, which increases their price considerably. In addition, they are of greater length and make much more noise. As we can see in Figure 2, amorphous cores are very useful in low power transformers with little total load demand over the course of a year. Zero resistance at low temperature: Pv ~ 0 is more compact. Very high current density: up to 1 million A/cm2 (2000 Cu ?cu = 500 A/cm2). This technology is now being developed, and research regarding its incorporation into manufacturing processes is currently underway. Until this technology becomes a reality, the best solution for now is to reduce the loss of transformer efficiency over time by properly maintaining the current equipment and refurbishing all currently operating transformers due to their overall advanced age. As for the regulatory authorities, they should plan to revise the standard level of admissible losses and thus avoid the possible commercialization in Europe of equipment with high CO2 emissions output.